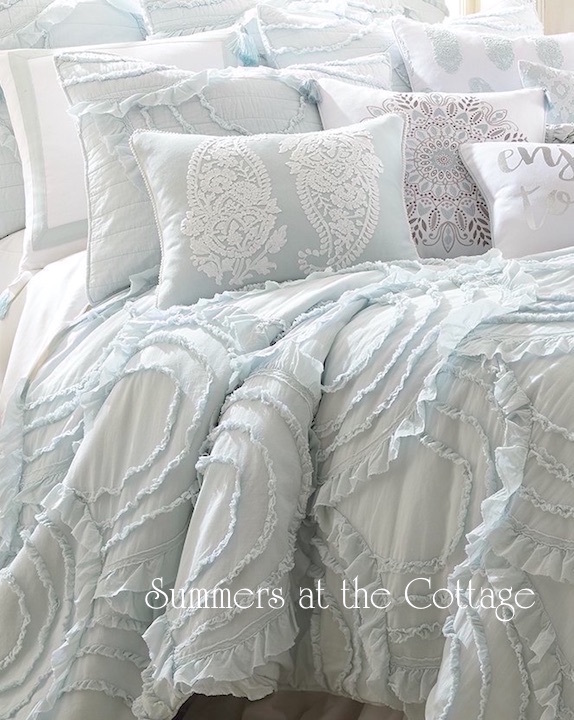 Full Queen Quilts - For a lifestyle from the east or west, LA to Manhattan, from a coastal seaside retreat to a cottage lane with rows of white houses with garden gates and a rose covered trellis, or a French country hideaway, you will find a cozy comfort in bedding from Summers at the Cottage. 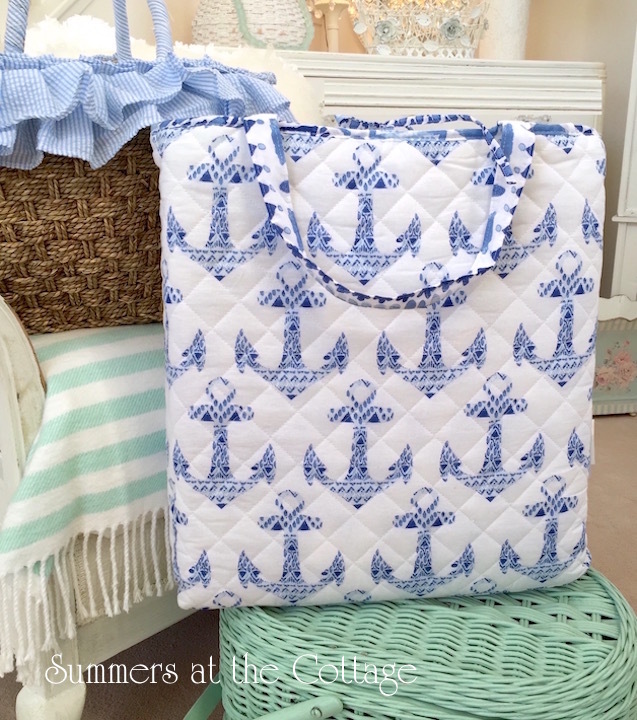 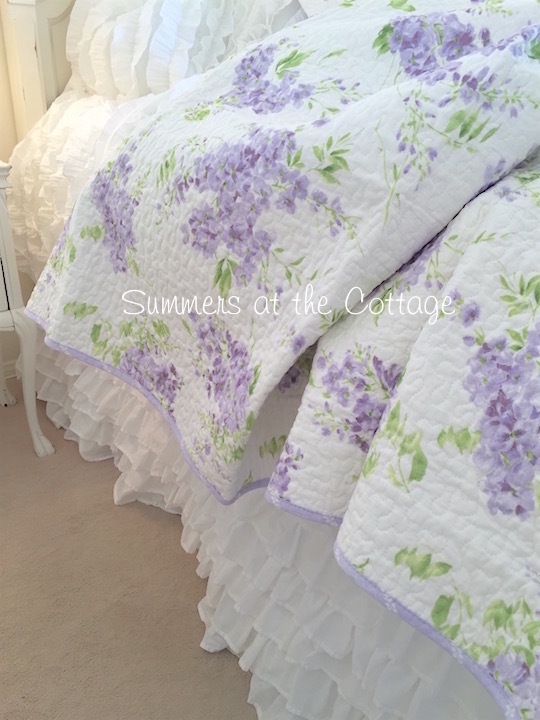 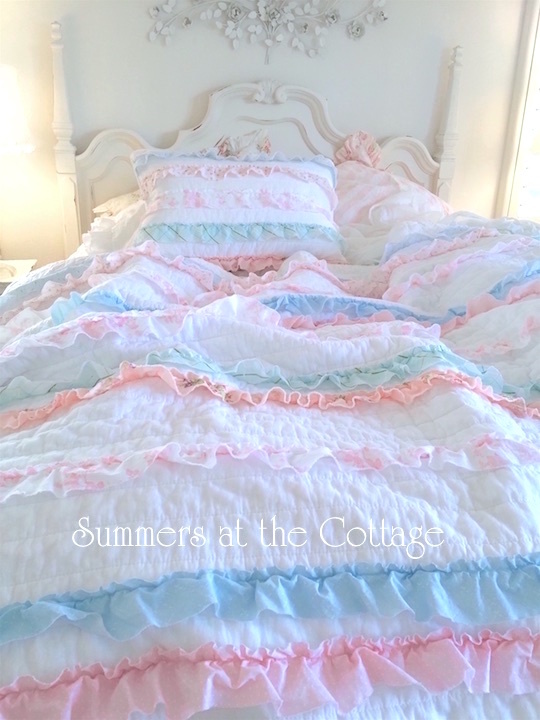 This bedding will create a summer cottage look year round in your master suite, for a guest room bed, college dorm room, or for a daughter moving into her big girls bed. 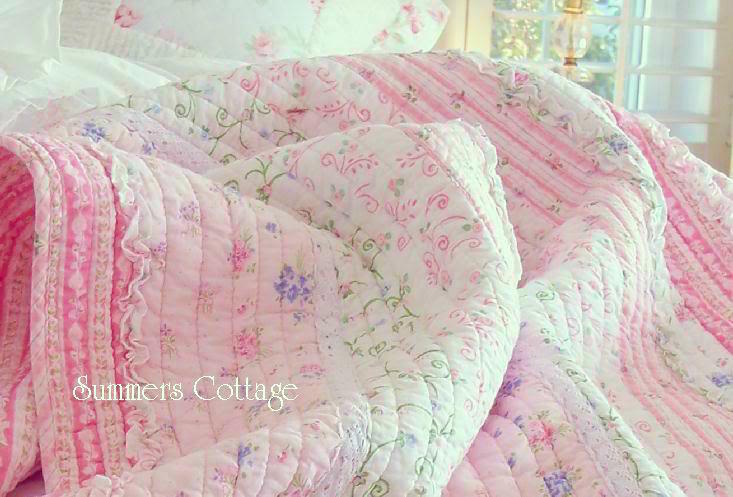 With cottage charm, this romantic assortment of designs is wonderful for any home across the country. 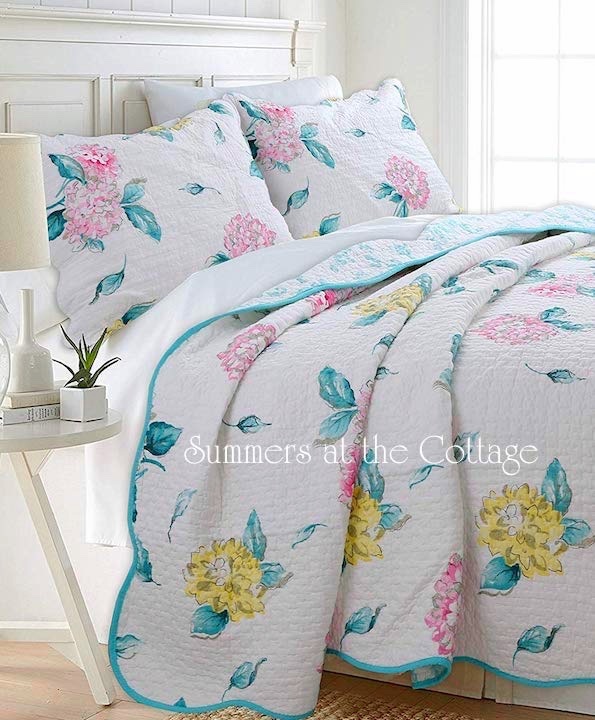 From seaside beach houses, lakeshore retreats with a Bed & Breakfast appeal with lilacs, flowers, and roses along with patchwork patterns that look as though they came from a shop in the French countryside. 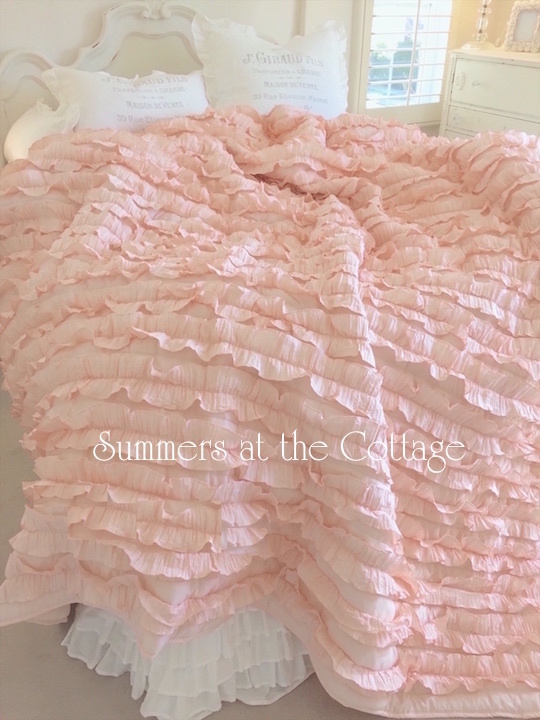 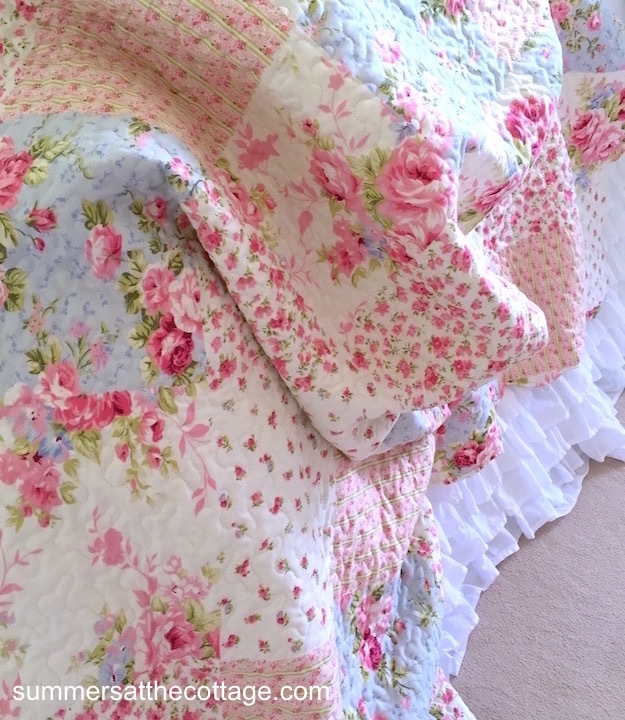 Reminiscent of a perennial rose garden, flowery prints and dainty ruffles. 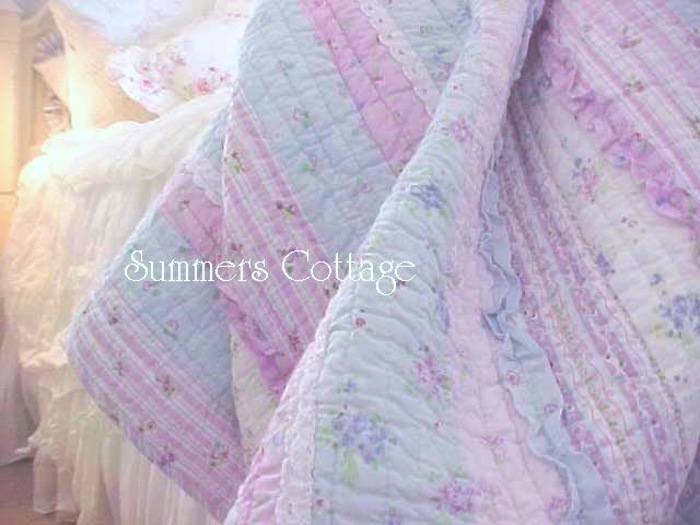 You'll love the sweet, yesteryear beauty of the colorful patchwork designs, romantic florals with sage, pink, cottage blue and lavender lilacs. 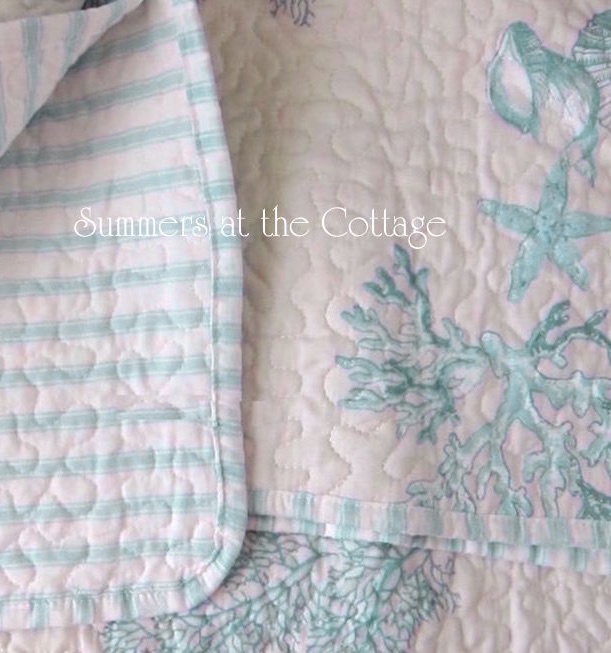 All the favorite shabby chic cottage chic colors! 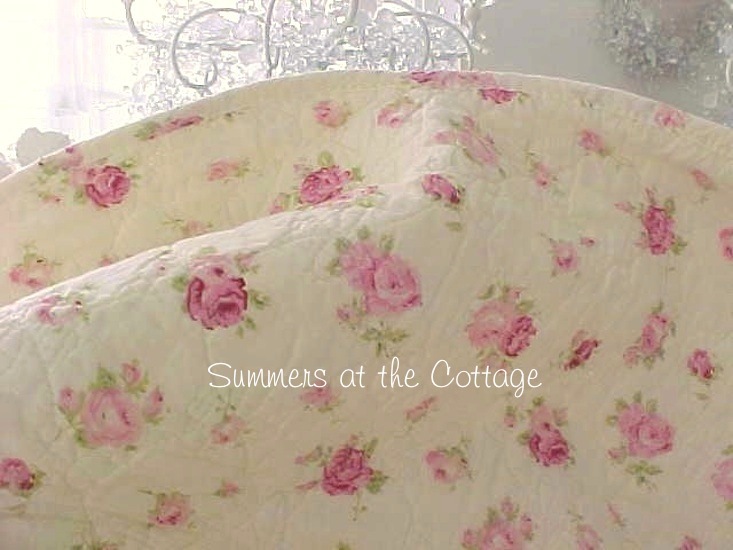 Sweet pink roses, soft sunshine yellow, beach house blue, lavender roses and pink lilacs are sure to bring sentimental memories of summers past. 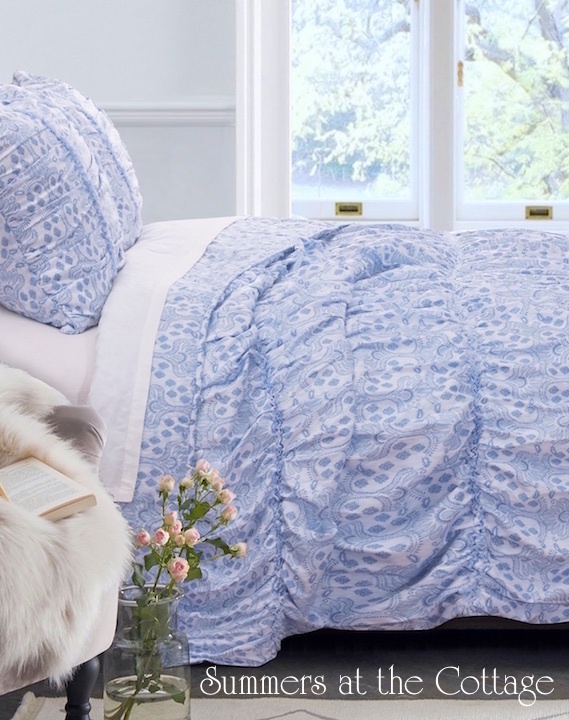 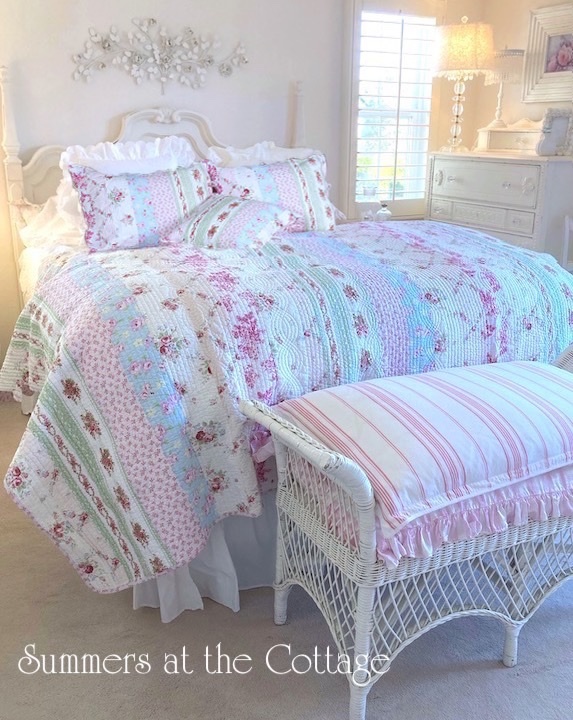 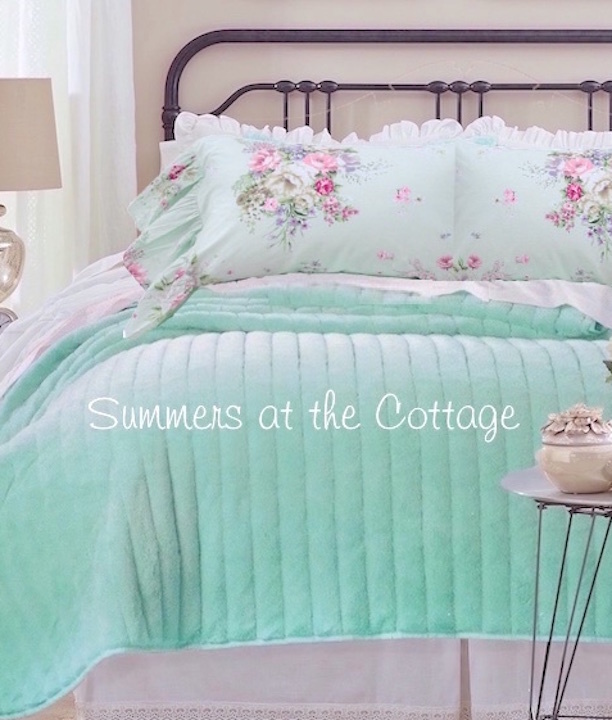 Nostalgic and feminine charm to transform your bedroom into a cozy cottage retreat. 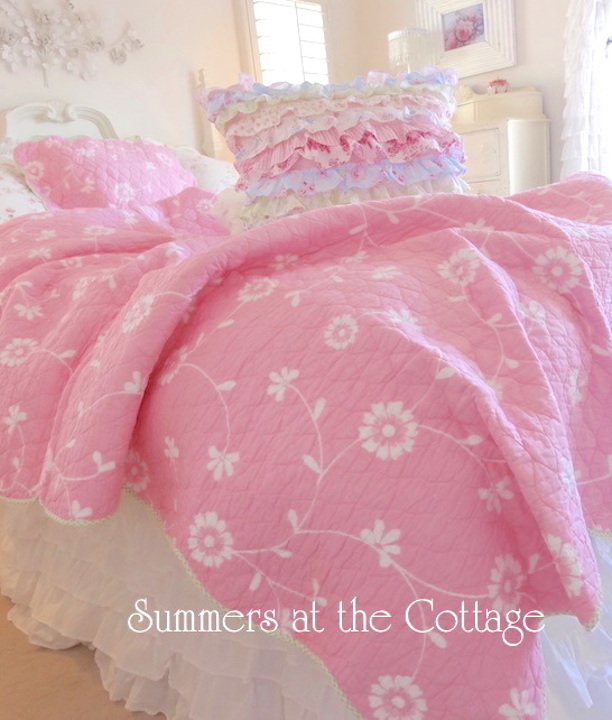 All of our quilts are 100% cotton inside and out, brand new in package, and machine wash and dry.